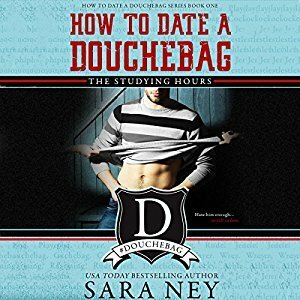 I thoroughly enjoyed this audiobook and love the premise of the whole series...guys who are jerks...until something changes and they meet "the one". It makes for a really fun read. In this book, Oz is on-campus royalty. He's a jock/wrestler and revered in this college. By everyone except James, who has no clue who he is. She's a true buttoned-up academic. And Oz wants to mess up all her buttons. As the story progresses, he becomes more and more obsessed about finding out exactly what she's hiding underneath those cardigans. This story was just pure fun. I loved getting to watch Oz's complete shock as he slowly becomes infatuated and then more with James. And while James sees that Oz is good-looking, she has no desire to get involved with a man-whore jock. But they're both wrong about what they want or need. They're truly made for one another. Note: I loved the narration for this book, too. Both the narrators nailed the voices. This was just truly a GOOD, entertaining book! I definitely recommend it.